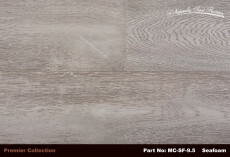 As if drifted across ancient waters and kissed by the ocean air, Naturally Aged Flooring’s Seafoam lives up to its name. Each board of this exquisite, wide-plank engineered hardwood flooring seems to have been hand pulled out of the surf just for you. 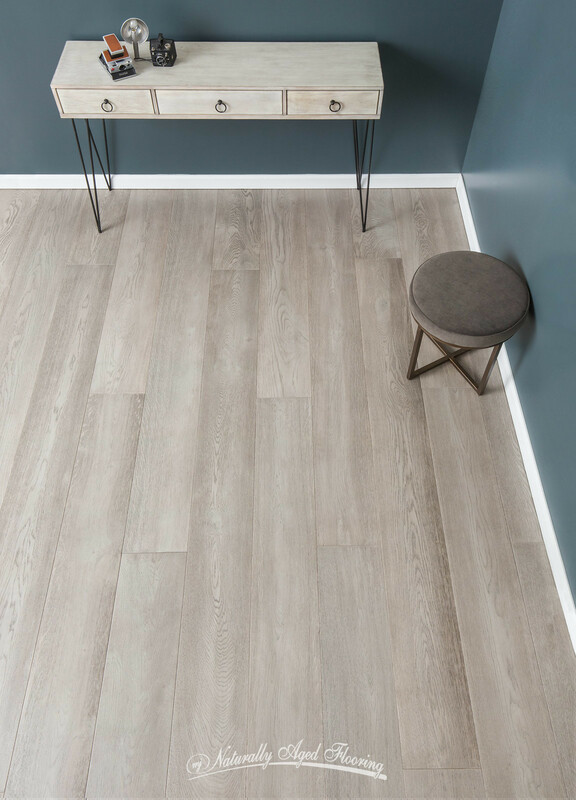 Soft sediments from the ocean floor appear to have settled into the calming streams of white oak grain, while a subtle, silver-hinted rinse washes over this exquisite flooring. 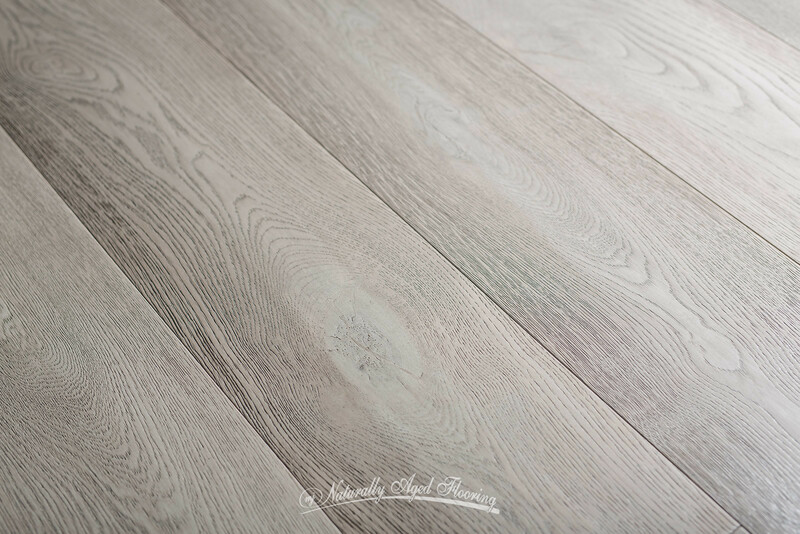 Practical as well as fanciful, Seafoam is excellent for completing your family home whether it is a beach-front getaway, urban oasis or country retreat. 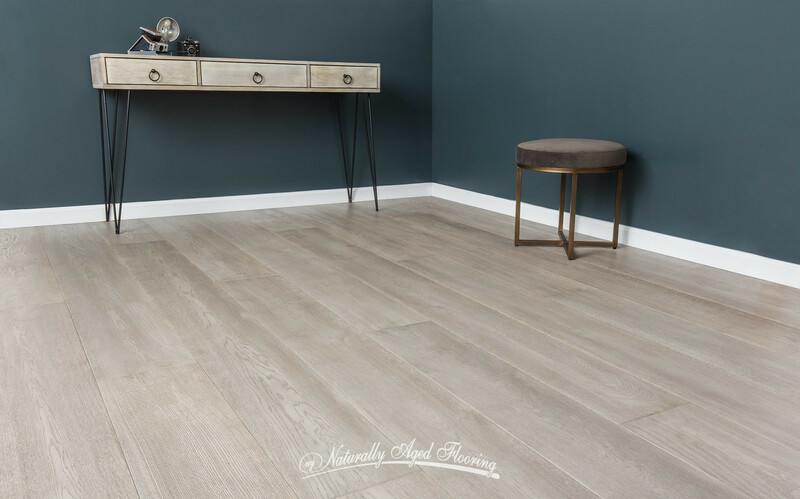 As part of Naturally Aged Flooring’s Premier Collection, Seafoam’s wide 9-1/2” boards provide ample opportunity to set the right tone, as the rich oak character floats across the horizon. 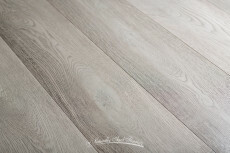 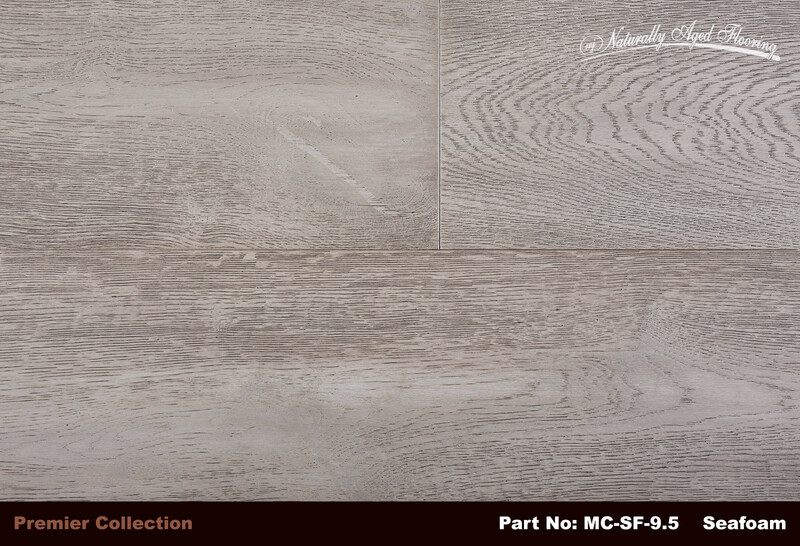 Each board is carefully wire-brushed for consistent movement, while knots and cracks are smoothed out with a light sea-bottom grey filler that blends naturally in with the oak, establishing an overall impression of inviting waves of grain and wood wading across the expanse of your room. Engineered for durability and long lasting appeal, Naturally Aged Flooring’s Seafoam lauds a hefty 4mm wear layer over a multi-ply eucalyptus core and finished with a UV lacquer coating that limits glare, adding to the calming effects of Seafoam’s natural elegance. 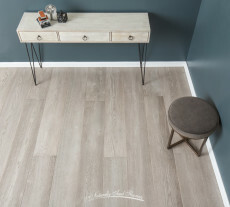 Like cool sand against a warm sky, the soft grey of Seafoam wood flooring is comfortable and reassuring, making it a must for any designer’s palette. 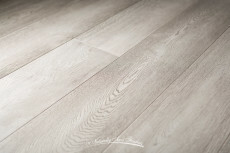 And much like the constant ebb and flow of its namesake, Seafoam floors will stand the test of time.